Suffering lately from skin rashes on your chest, back, legs or arms? You may be having a condition called Pityriasis Rosea. 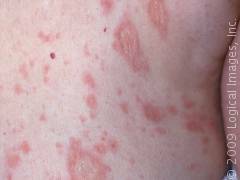 Go on and know all about Pityriasis Rosea disease, its causes, symptoms, diagnosis, treatment and more. Pityriasis Rosea is pronounced as PAI-TEAR-E-A-SIS RO-SAY-AH. Pityriasis Rosea is a type of skin rash. It is not a serious disease but can cause a fair amount of discomfort to sufferers. 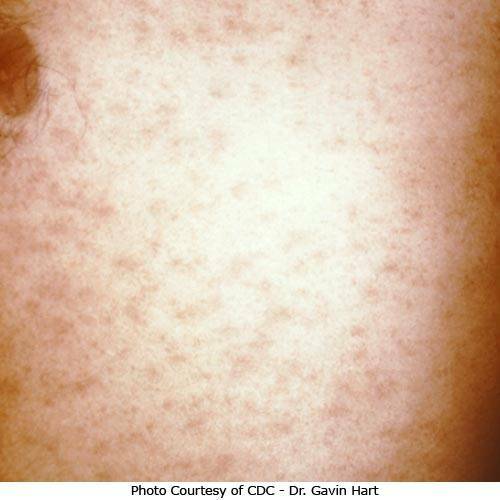 One can mostly find Pityriasis Rosea in children and young adults. Pityriasis Rosea frequency in the US is an approximate 0.13% in men and 0.14% in women. Women are known to suffer more than men from this disease. The exact reason of appearance of Pityriasis Rosea skin rashes is unknown. Researchers believe virus to be the cause. In people with Pityriasis Rosea Herpes Virus infection is held as the prime factor. An attack by Herpes Virus HHV6 or HHV7 is thought to result in Pityriasis Rosea rashes. 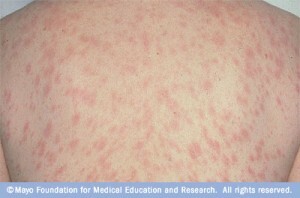 An infection by Mycoplasma, a member of a group of small parasitic bacteria, is also thought to result in Pityriasis Rosea. The symptoms of Pityriasis Rosea are very easy to spot. The condition usually begins with a number of minor health complications. Pityriasis Rosea causes mild fever, sore throat, congested nose and headache at first. Once these symptoms subside, a large, slightly elevated, scaly patch arises on the back of the affected person. Medically, these are known as Herald Patches. The reason of this unique name can be ascribed to the fact that they herald or announce the onset of Pityriasis Rosea skin disease. 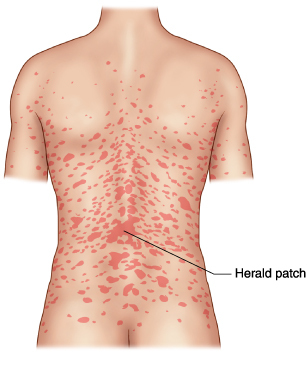 The actual Pityriasis Rosea blisters arise a few days or weeks after the first appearance of Herald Patches. These are pink colored and scaly in appearance. 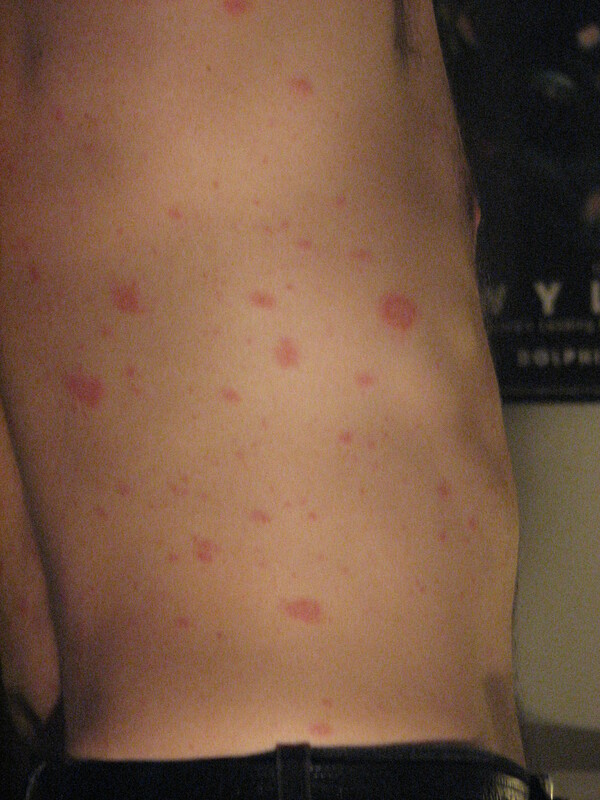 The rashes appear in a big size in areas like the chest, abdomen and back. Smaller spots arise on the face, arms and legs. The rashes are itchy, particularly when the body is warm after jogging, running or a hot bath. In most cases, Pityriasis Rosea rashes do not need any treatment. They go away with time. Pityriasis Rosea treatment, however, is necessary if the symptoms are very discomforting for the person. Pityriasis Rosea medication consists of skin creams containing zinc oxide and lotions containing steroid and calamine that can reduce itching in the rashes. Itchiness is the main discomforting symptom of Pityriasis Rosea rashes. Antihistamine pills, which are administered as oral medicines, are also seen as quite effective in reducing itchiness. Medication needs to be followed with Pityriasis Rosea remedy at home. Here are some of the main Pityriasis Rosea remedies. If you are looking for ways on how to make Pityriasis Rosea go away, these can help. In sufferers of Pityriasis Rosea relief from rashes are of the prime concern. Taking an oatmeal bath proves soothing for people with Pityriasis Rosea rashes. It reduces itchiness in the rashes and makes the disease bearable, even if temporarily. As aforementioned, heat tends to worsen itchiness in the rashes. If you have Pityriasis Rosea, it is better to take a bath with water that has a lukewarm temperature. Moderate exposure to Ultraviolet Rays can make Pityriasis Rosea rashes disappear more quickly. Taking a sunbath for a brief period can help you make a quicker recovery. Pityriasis Rosea UV Treatment is said to be quite an effective cure. It works as a Pityriasis Rosea alternative treatment. You may try Pityriasis Rosea uv light treatment for at least 30 minutes daily. In people with Pityriasis Rosea exercise can worsen the condition. As aforesaid, heat can worsen itchiness in the body. It is better to avoid exercise for some time until the rashes subside. Workouts heat up the body and can increase the itchy feeling. 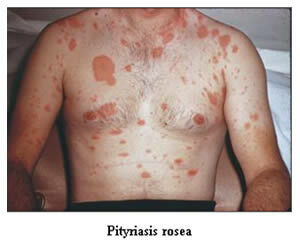 Pityriasis Rosea usually resolves itself with time. But with effective treatment, it can go away faster. If you find the pityriasis rosea wont go away you may just need to get in touch with a dermatologist. Usually, a person takes around 3 months to recover from the condition. Chances of Pityriasis Rosea recurrence are slim. It is very rare for a person to have Pityriasis Rosea again. Medical consultation is needed for people having Pityriasis Rosea twice. 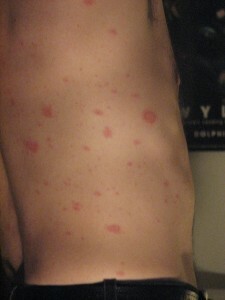 Want to know how Pityriasis Rosea rashes look like? Check out these Pityriasis Rosea rash pictures. These Pityriasis Rosea photos will give you an idea how this particular type of eruption appears to view. Pityriasis Rosea rashes are often seen to arise in people who suffer from a deficiency of Vitamin D in their diet. It is better if you can add foods rich in Vitamin D, such as fatty fish, meat and eggs into your diet. In people having Pityriasis Rosea Vitamin D is believed to aid in a faster recovery. Generally, Pityriasis Rosea does not give rise to any complications. But in case of Pityriasis Rosea getting worse, there may be problems like an increase in itchiness. Even after the rashes have healed, brown spots may remain in place of the rashes. This is particularly seen in case of dark skinned people. In Pityriasis Rosea pregnancy can be seriously affected. In pregnant women with Pityriasis Rosea miscarriage can also occur, particularly if they develop the condition within the first 15 weeks of their maternity. It may also result in premature delivery, Hyporeactivity and Neonatal Hypotonia. 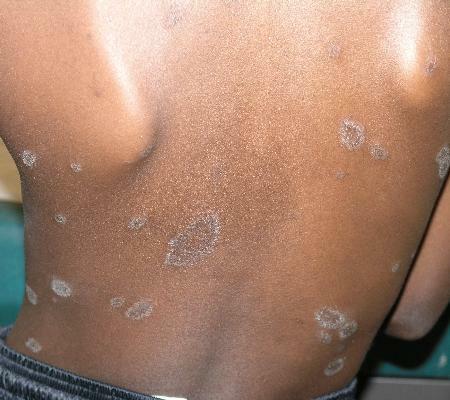 In people with Pityriasis Rosea long term complications re mainly seen in dark-skinned people. 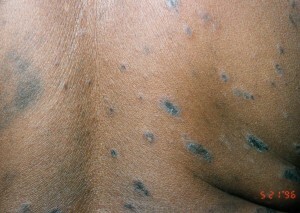 Even after complete recovery from the disease, there may be brown blotches in the spots where there were rashes earlier. There may also be a little discoloration of the skin. However, this goes away with time. 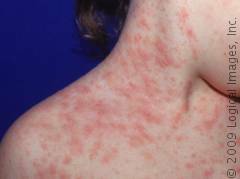 If you are having Pityriasis Rosea in infants or adults in your home or suffering from the condition yourself, fix up an appointment with your physician. The earlier the treatment begins, the faster your chances of recovering will be. the back of my legs itch, some times I have a rash and sometimes I do not. Cool weather seems to activate it. Summer I do not have it. Topical treatment doesn’t seem to help..